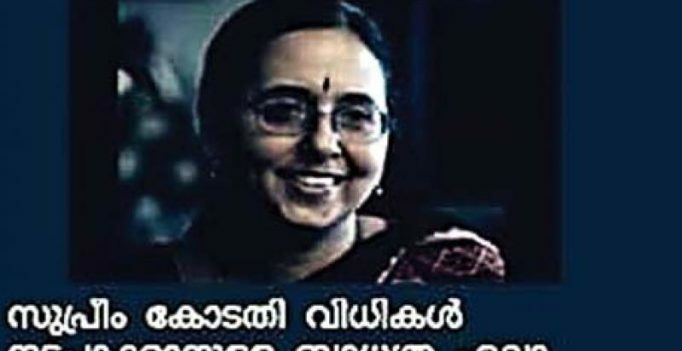 Chief Secretary Girija Vaidyanathan has asked director general of police to initiate thorough probe to identity the fraudsters who had posted an offensive message in her name targeting the Kerala Chief Minister for allowing women devotees to worship at Sabarimala as per the Supreme Court order. Chennai: Chief Secretary Girija Vaidyanathan has asked director general of police to initiate thorough probe to identity the fraudsters who had posted an offensive message in her name targeting the Kerala Chief Minister for allowing women devotees to worship at Sabarimala as per the Supreme Court order. 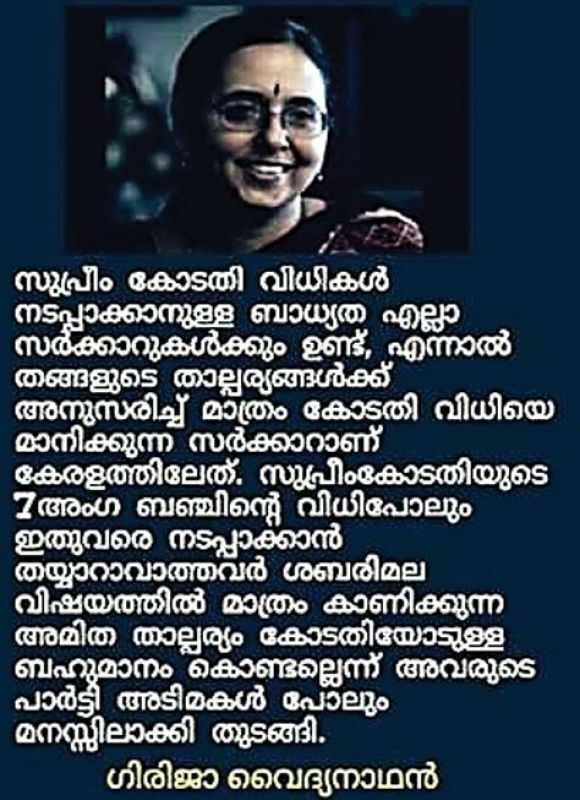 The FB post in Malayalam, with her photograph at the top, went viral attracting comments of all sorts from the netizens, posing huge embarrassment to the senior IAS officer known for her no-nonsense attitude devoid of any controversy, and her commitment to honest work. Translated, the offensive FB post would read: “Every government has the responsibility to implement Supreme Court orders. But the government in Kerala respects Supreme Court orders only as per their interests. Even the party slaves have started realising that those who have not implemented the order of SC’s seven-judge bench are showing high interest in implementing the Sabarimala order not because of their respect to the Supreme Court”. While CS Girija Vaidyanathan was not available for comment, being away on tour of the cyclone-hit areas along with the Chief Minister, M V Jayaraman, Private Secretary to Kerala Chief Minister Pinarayi Vijayan told DC: “Yes, we brought it to the attention of Chief Secretary Girija Vaidyanathan. She wrote to our CM categorically denying any knowledge of this FB post and also informed her that she has asked the DGP to investigate at once”. “The Kerala DGP too has been told to investigate this crime”, said Jayaraman. Independent observers feel that the FB post could be the handiwork of some rightwing activists out to embarrass the Kerala CM as they are upset over his quick acceptance of the Apex Court order permitting women of menstruating age to enter Sabarimala to worship. It is strange, and sad, that they chose to drag the TN Chief Secretary into their unholy scheme. Tendulkar, Yuvraj invited for Virat Kohli-Anushka Sharma wedding at Milan hotel?